With Getty Images, you can be sure that you are getting only the highest quality of photos. That is why their pricing and plans are higher than its cheap stock counterparts. This could be discouraging at times, especially when you are on a tight budget. Fortunately, there is a one sure way you can use to buy photos cheap. We are not talking about a Getty Images promo code because they don’t exist. But, we mean something that is just as good. The new Getty Images Ultrapack allows you to buy the best photos in the collection and saves you $50 to $3000. Are you interested? Of course, you are. The stock photo website gives you the opportunity to save on your next purchase. Take it and see how much you can save. Click here for more information. 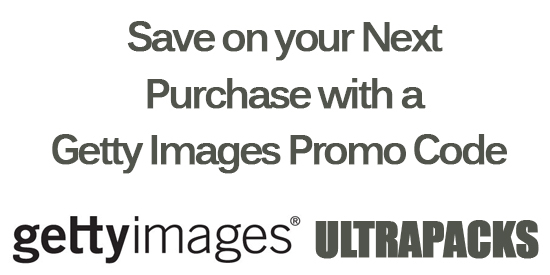 Each Ultrapack cuts 8 to 31 percent of image prices. These images come with a custom license, giving you unlimited copies and allowing multiple users to use the download. In other stock agencies, you need to purchase a different license, but with Getty, you do not have to pay for the rights separately. There are packs of 5, 10, 15 and 25. How many images do you need? Ultrapacks come in various volume sizes. You can choose whichever fits your creative needs and budget. The discount on the image packs vary according to size as well. The larger pack you get, the bigger your savings. Medium and High Resolution images are expensive. Yes, their prices are higher than their low resolution counterparts. But, they also come with great discounts. In fact, you can save as much as 31% with these image packs which is equivalent to up to $3000 of savings. Commercial and Editorial Use. Getty Images works with right-managed (RM) license. This means the price of the image varies according to your purpose. It also works with Royalty-Free (RF) license, which allows you to use the image for commercial and editorial purposes forever. Editorial RM license lets you use images for 15 years but for editorial use only. You can get images in any license with Ultrapacks. If you want to save money buying high quality images from one of the best stock photo agencies in the world, consider buying a Getty Images Ultrapack. It allows you to get royalty-free and editorial images at cheaper prices. Buying an Ultrapack is like having a Getty Images promo code. It helps you save further.